Best Payout Casinos (2019) ~ Fast Withdrawal | High RTP Slots ➜ Go Here! Being tight is rarely an attractive trait, so the Professor has searched far and wide for the best payout online casinos that the industry has to offer. It’s taken him some time, but he’s managed to sift through all 100+ casino sites in his arsenal to bring you the top outfits. From his analysis, three distinct categories have appeared: casinos online with the best payout rates, fast payout casinos, and slots with the highest RTP. The Prof made sure to include UK casino sites to satisfy British demand – but don’t worry, they are all available in several other countries too. If one of these categories has already jumped out at you, select it from the list below to be taken to it down the page. If you’d rather be given the full picture, read on for our guide to the best casino payouts! Some casino sites publish data from a given month which outlines their average return-to-player (RTP) percentage for that period. The way it works is different from calculating slot game RTP, with the Professor explaining how. What is a casino’s RTP? The return-to-player percentage for casinos is a figure that’s calculated by dividing the total amount won by the total amount wagered during a particular period. It is based on actual real money which makes it a good statistic to consider when choosing a new site to play at. NOTE: this figure provides merely a guideline of the best payout rates at online casinos. You should not expect to receive that exact percentage when you play! To ensure every return-to-player checks are credible, the tests are conducted by third-parties rather than the sites themselves. While there are many such independent testers, all of the RTP certificates you’ll find below are issued by eCOGRA – a leading agency in the field. Yet, the Professor realises that it would take a long time to trawl through all the options to see who has the best/highest RTP rate. So, he decided to pick out the top 3 – starting from the lowest to the highest. 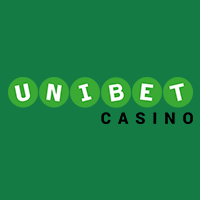 If you’re ever looking for a UK online casino list then 888 will often be included as an entry. However, they also happen to be one of our top payout casinos with an RTP of 96.61% for all games. If there is a particular set of games – such as slots, roulette, blackjack or other – that you like to play the most, you can check 888’s Payout Percentage Report for a more focussed result for your preference. Also found here are blackjack and roulette randomness reports. Simply navigate to the bottom of a main 888 page to find eCOGRA’s Safe & Fair badge. Aside from the UK, 888 operate in numerous other regions – so many, in fact, that it’s impossible to list here! Next up is 32Red, who have managed to attain a 96.86% return-to-player percentage. A quick glance at their website also brings up a whole host of accolades dating back years, with 32Red scooping their first award back in 2003. You will find only Microgaming slots in their library – which can go one of two ways. However, in terms of fairness and security, there are few that reach 32Red levels. 32Red offer their entertainment to many countries – such as the UK, Germany, Canada and more. But our top highest paying casino is currently Videoslots – with a cool 97.78%. Alongside blackjack and roulette, eCOGRA have awarded a randomness report for the Microgaming Video Poker games found here too – with the third-party auditor describing Videoslots as using the “best practice standards”. Considering the sheer number of games available (3,400 and counting), this adds extra fuel to the already towering fire of Videoslots credentials. Aside from France, Spain and a few other territories, Videoslots is mostly open to gamers. This is a slightly tricky topic to navigate, as the fastest paying casinos all have to rely on third-party payment processors. However, the very best usually offer the same methods – such as Skrill/Neteller/card/bank transfer – so the Professor thought he’d angle this category in a different way. Before withdrawal requests are processed, they have to be approved first. You’d think this would be a piece of cake, but some decide to make this a long-drawn-out affair. As long as you use the eWallet method, or something similar, then any winnings will be in your account in a matter of hours once the transaction has been authorised. No more waiting around for weeks on end! All of these are some of the fastest withdrawal casinos in the UK, but they’re also open to many other regions too. So, you know which casinos tend to pay out more, and the ones who pay out the quickest – but what games are the best for maximising your chances of winning? Earlier we took you through what casino return-to-player is. Now, we’re having a look at the actual gaming version. What is slot RTP? It is one of the ways that a slot developer demonstrates the average odds of winning a prize. If a slot game has an RTP of 97% and you wagered £100 over a long period of time, the long-term theoretical payback amount would be £97. Unlike casino return-to-player which is calculated by taking real money wagers and wins, slot RTP is a figure that’s calculated generally by playing either a compensated or random game 10,000 or 100,000 times respectively (UK Gambling Commission – Gaming Machine Payouts: return-to-player). NOTE: Although the return-to-player percentage for slots is calculated differently to casino RTP, it should still be used as a guideline when selecting a game. As such, you should not expect to receive the given percentage back every spin/hand/round you wager. 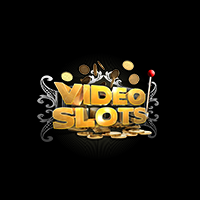 Now, if you thought there were a lot of gambling sites, the number of slots and casino games will knock you for six – just look at Videoslots’ library! However, the Professor is well aware of a few all-time high RTP slots from over his years of gaming. Again, we’ll start from the lowest to highest, but Starmania’s RTP of 97.87% is hardly low in reality. Produced by NextGen, this late-2015 release uses a pretty standard slot theme of colourful shapes and soothing sound effects. Alongside the high return-to-player, you’re given the chance to gamble every single winning line you make. You can either end of empty-handed see your winnings quadrupled, or something in between. An absolute all-time classic, NetEnt’s Bloodsuckers has an RTP of bang on 98% – and it continues to rack up spins despite being released in late-2013. Alternatively stylised as Blood Suckers, this haunting tale was such an exhilarating addition to gaming libraries that players immediately demanded it to be ported to mobile casinos once the smartphone insurgency took over. NetEnt duly delivered, meaning you can always guarantee plenty of exciting casino bonuses and promotions around Halloween time. Just a few months after Bloodsuckers came 1429 Uncharted Seas – with its 98.6% RTP. Developer Thunderkick had only been around a year or so before they dropped this smash hit, but everyone definitely remembered their name afterwards! Even more impressively, there’s also the opportunity for you to net up to 50 free spins as part of the game’s special features. But what does that mean for the final two top RTP slots? Well, we’re referring to Jackpot 6000 and the upcoming Mega Joker as classic slots – with the layout structure reducing to 3 rows and 3 reels. But it’s the inclusion of real skill that’s most interesting. One thing to clear up first is that if you play with 1-8 coins then the RTP will drop to as low as 74.9%. However, wagering 10 coins will boost this up to the maximum potential of 98.8%. This fluctuation is because of the Supermeter mode – which can only be accessed when playing with 10 coins. If you manage to enter this level, you can influence the result to try and make it land in your favour. However, ever since late-2013, the highest RTP slot ever has been Mega Joker with 99%. NetEnt again incorporated skill into this game using the same Supermeter as Jackpot 6000 – with 10 coins needed for this feature to be possible. Any bets of just 1 coin will see the return-to-player rate drop to a lowly 76.9%. Despite the graphics looking worn compared with the flash new slot games of today, Mega Joker will always be a nostalgic favourite. And with such a high theoretical return, it’s unlikely to be knocked from the top any time soon. Fancy giving these games a spin? You just need to keep in mind one thing! Most casino sites don’t allow you to complete wagering requirements by playing slots with the highest RTP. Why? Because they are deemed to reduce the house’s edge too much in the player’s favour. Casumo have all of our top five RTP casino games above in their collection. 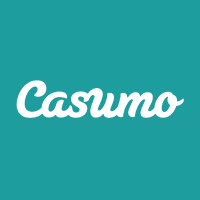 Of course, Casumo is both a UK and EU casino – so they’re open to plenty.